You may have noticed that the book progress monitor (coffee mug) has declined to 96%. That's because writing a long novel is like shooting for the moon; some adjustments are necessary to land safely. As I prepare to revise the manuscript (after I finish writing the last few scenes), I created a spreadsheet of chapters and scenes. There is a short synopsis for every scene to help me remember what's going on. And that, in turn, has helped me identify some dead wood and some scenes that were actually in the wrong order. What? How did that happen? 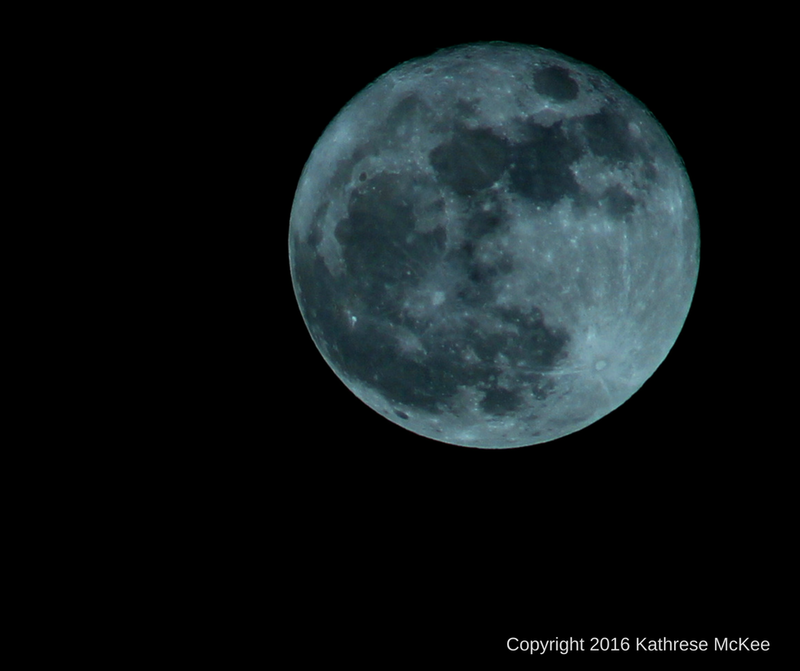 Why, yes, I did take that picture of the "super moon." Thank you for asking. Anyway . . . The good news is that I can downgrade my estimate of the final word count by 5,000 words to 140,000 words. Hurrah! The bad news is I'm not as far along as I had thought after I eliminated the fluff. Boo. Ultimately, I'm happy to know exactly what is left to be accomplished. ​Mardan's Anointed splits neatly into three parts, and so, for the first time, I inserted empty chapters called Part I, Part II, and Part III. Boggles the imagination, doesn't it? That simple action helped me reorder the story to serve the reader better. The beta version will be available in about two weeks, slightly after my November 30 deadline but definitely by December 14. I will scurry as fast as I can to complete Srilani's last scenes, set it aside as long as I can, and then read through a printed copy in one go, making notes in my spreadsheet as I go. My beta readers will give me notes about the chapters they think need the most help, and those remarks will go into the spreadsheet too.